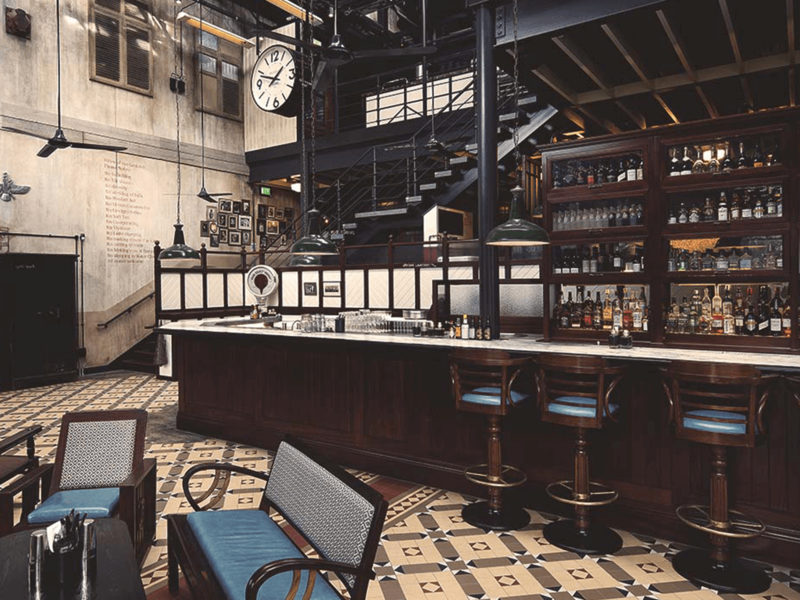 Dishoom in King’s Cross became the restaurant group’s third and largest site to date when it opened its doors in 2014. The popular Indian restaurant brings a taste of old Bombay to the Victorian brick arches of King’s Cross. Dishoom’s existing sites were having problems with the reliability of their hot water supply. Their design team contacted Dext looking for a solution to this issue as the King’s Cross site would have even less available power provision, It was also a Building Research Establishment Environmental Assessment Method (BREEAM) site so needed to successfully and cost effectively adopt sustainable solutions where possible. Michael Larner, of Dext Heat Recovery, said: “We surveyed their existing sites to get a feel for their ways of working, identify suitable heat sources and to come up with the best solution for their new restaurant. “Following the survey, we specified two Splashback Absorber Panel (SAP) Heat Recovery Systems (HRS) to be installed behind the robata grill and tandoor ovens specifically designed to recover wasted heat from high grade sources as this. “We also supplied a bespoke hot water storage system to give them adequate supply of hot water during their busy periods. “Following implementation, we went on to suggest ways in which they could optimise their water usage to give security of supply without impacting on their necessary cleaning methods. The expertise of the team at Dext has helped Dishoom resolve a long-standing hot water problem in both its new and existing sites. Their hot water supplies are now reliable and generating enough supply on even the busiest of days in the restaurants.